Structural problems with teeth are very common these days. In fact, over time people tend to feel that they are actually losing the structural stability of the tooth. There are various factors contributing to both structural problems of our teeth, including lost dental fillings, root canals, decayed tooth, cracks and chips, wear and tear of the enamel and other such large scale deformities that involve the surface of your tooth. In case if there isn’t any problem with the root of the teeth, but the tooth is problematic, a dental cap might be the best option for you. Dental caps are basically used for covering the visible surface of the teeth that has been affected badly. The cause of these affects could be anything, such as grinding of teeth, lost fillings, decayed teeth, cracks, breakage, wear and tear etc. Dental caps are known for its stability, durability and strength. 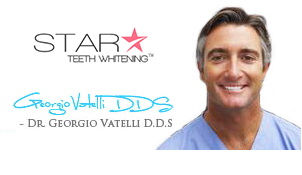 These are the ultimate solutions for enhancing the dental defects to give you a natural look. Are you a Candidate for Dental Caps? A person needs dental caps if he has the habit of grinding teeth, has an improper bite or has lost dental fillings. Dental caps are also suggested to people having decayed teeth, cracked or broken teeth or close gaps between teeth. Dental caps are the perfect means of covering the visible defects of your teeth while retaining the actual stability, permanence as well as the strength of your teeth. During the first visit, your cosmetic dentist will identify the problems that you are having with your teeth. After properly observing the damage caused, he will recommend dental caps for relief. The need for caps is common in patients having the nagging habit of grinding and chewing problems. The chewing patterns affect the dental health to a great extent. Not only will dental caps help, but your cosmetic dentist will also recommend some other tips to prevent grinding and typical chewing patterns. There are 3 different types of dental caps – gold dental caps, ceramic dental caps and ceramic and veneered gold caps. Metal-ceramic dental caps and gold caps are very effective and durable too and are particularly used for molars – the most prominent teeth that assist in grinding and chewing and are prevalently used. However, ceramic dental caps are primarily used for the front teeth because they resemble the aesthetic color of teeth and are quite pleasing to the eye as well. Dental caps are dental crowns are made from the same porcelain material. Two different types of porcelain materials can be used in this regard – the felspathic porcelain and the pressed ceramic porcelain. The felspathic porcelain is the oldest form of material being used; it has been around for more than 20 years now. A ceramist bakes the porcelain in a tin foil and further heats it by placing it an oven. He then creates opaque’s and tints out of the material to form dental caps. This in turn helps in enhancing the look of the wearer. With the use of one ingot the pressed ceramic crown is crafted. This signot is then made to form a piece that created the preferred shape of your cap. The opaque’s and stains are then applied to the exposed surface to give you a natural and glowing smile. Porcelain caps are the latest and have the best appearance as well. These caps are made of purest form of ceramic, also known as innovative reinforced composite resin. You simply cannot make out whether it is your actual teeth or an artificial cap. It is all because of the latest innovations in the world of cosmetic dentistry that people can now expect dramatically bright, white smile in very less time. With the bonding technology involved in these procedures, it is now possible to have an exceptional bond as well. This is a metal-free procedure that satisfies people having problem with metals. Gold dental caps can be used only in such cases when the appearance isn’t really important. Although gold is truly workable and durable too, it isn’t aesthetically appropriate. Gold caps are undoubtedly more supportive with the least chances of chips or any other defects. These caps are the perfect way of enhancing one’s natural appearance. Porcelain based metal caps have excellent structure and they further require opaque right below the layer of porcelain. This actually makes it difficult for you to match to the translucency of your natural teeth. During the treatment, your cosmetic dentist takes the impression of the tooth that needs a cap. After taking the impression, a dental cap is prepared inside the laboratory to fit into place. Until your dental caps are prepared, the dentist will provide you with a cap (temporary) to be worn for a certain period of time until your custom-fitted cap are ready. The preparation of the caps usually takes 14 days time. Once prepared, the cap is cemented permanently onto the tooth. This complete procedure takes only about 2 dental visits. In order to stabilize the tooth, a proper filling needs to be placed before actually placing the cap for countering the loss of the original structure of your tooth. It is imperative to have a thorough discussion about the type of dental cap and color you are seeking, as a candidate; you can give your own inputs to the dentist so that you get the desired end result. Average Cost: $500 to $3,000. Porcelain dental caps are usual more expensive than the other options as they take a lot of time to be prepared. Gold and porcelain dental caps usually range from $500 to $3000, which is the total cost. *The prices of the dental caps are likely to vary with the total number of treatments and sessions you require. Insurance premiums and plans significantly decrease costs depending on individual insurance plans. There are many advantages of dental caps and particularly its natural look. Porcelain caps are strong, durable and very natural to look at. Gold caps can be easily placed inside the mouth and there isn’t any chance of chips or cracks developing on them. Porcelain based metal caps have a pleasant appearance. Different treatments have different disadvantages. Gold caps aren’t really good for the front teeth considering the appearance factor. Porcelain caps pose to be really thick and uneasy sometimes.